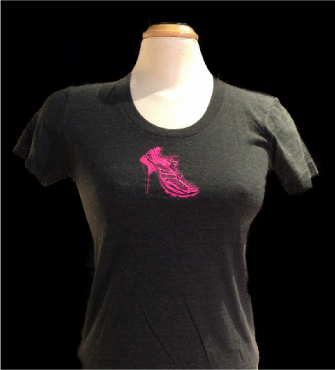 Seduce your skin with our famous High Heel Sneaker tee. An absolute essential to any feminine runners closet. Irresistibly comfortable. guaranteed fasionably soft to your touch and oh so cute. Accented with our very own High Heel Sneaker graphic thats been screen printed by hand. No printing machines here. This tee meshes sporty and stylish. in a way only Runalicious can do well. 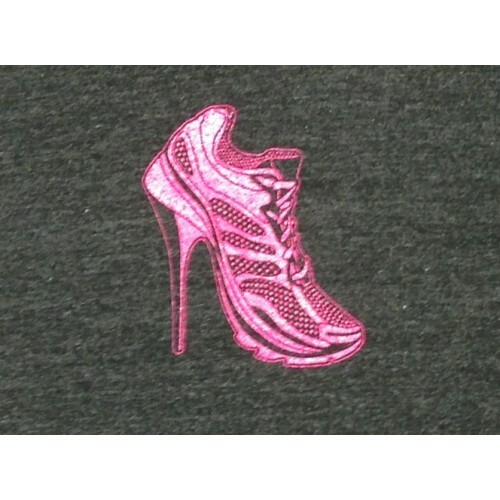 Look equally fabulous while wearing your favorite pair of running shoes... ...or stilettos. Now being offered at the irrisistable price only $15.00 plus shipping. At this price its a comfortable fit for any budget. A luxurious personal indulgence with out a high price tag. 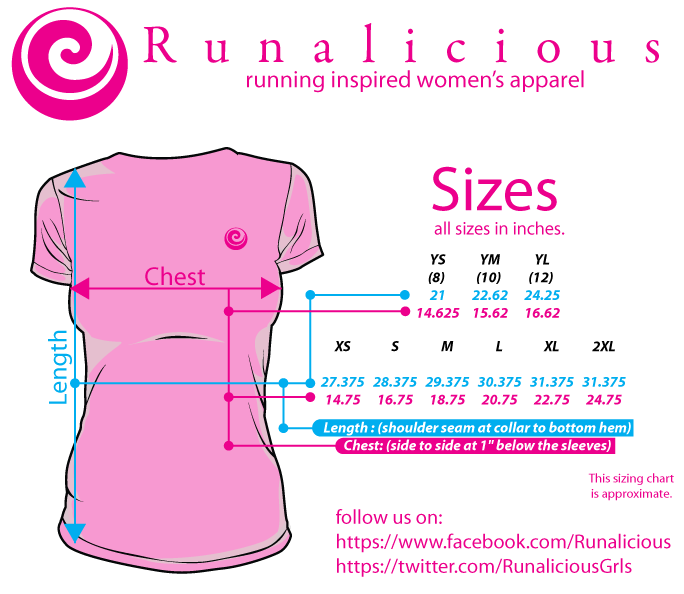 Click the sizing chart to ensure its just the right size for you. Tri-Blend (50% Polyester / 25% Cotton / 25% Rayon) construction. This is what gives it the soft to your skin feel. Polyester retains shape and elasticity; Cotton lends both comfort and durability; addition of Rayon makes for a unique texture and drapes against the body for a slimming look. Durable rib neckband.